By 2019, global industrial pump demand is forecast to reach nearly $59 B. Due to the increase in downstream processing capacity additions, demand for pumps is forecast to increase over the next few years. Pump demand is expected to be especially robust in developing countries in the Asia-Pacific region where several nations are actively boosting refining, petrochemicals and gas processing/LNG capacity. Downstream processing facilities use several types of pumps to ensure feedstock and product flows are uninterrupted and working efficiently. Pump manufacturers invest significant time and resources to increase pump effectiveness, reliability and safety. The pursuit for more optimized operations are imperative to secure market share. 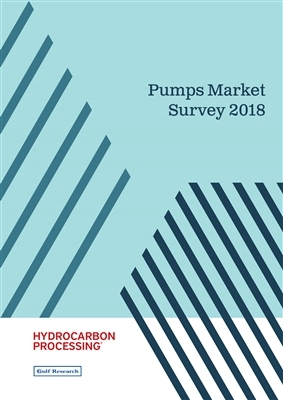 Hydrocarbon Processing recently completed a market survey pertaining to the perception and image of the top pump suppliers. The survey gathered over 200 responses, with 84% directly involved in the purchase of pumps. To read more on the 2018 Pumps Market Brand Report, click here.